Welcome! It is Sew Mama Sew Giveaway time! This is an annual event and blogs all over blog land are participating. Visit these blogs through Sunday, December 11 for chances to win great prizes. 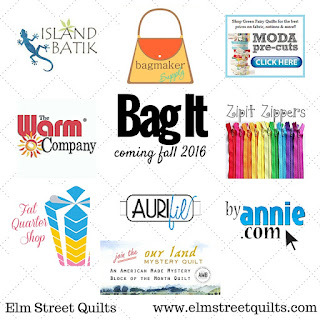 Find the links to all the blog giveaways here on Sew Mama Sew! I've several giveaways to tell you about today so keep reading! First, enter for a chance to win this pretty Moda Etchings by 3 Sisters charm pack. This contest is open until Sunday, December 11th at 11:59 pm est. Winner will be notified by email and have 48 hours to respond otherwise I'll choose a new name. I will ship world-wide. I'm using Rafflecopter for this giveaway - if it gives you any trouble whatsoever, just leave a comment or drop me an email and I'll be happy to help. There are 3 entries to earn - do whichever of these (or all) that you want! Second, take a minute to check out the Bag It event running through December 16th. 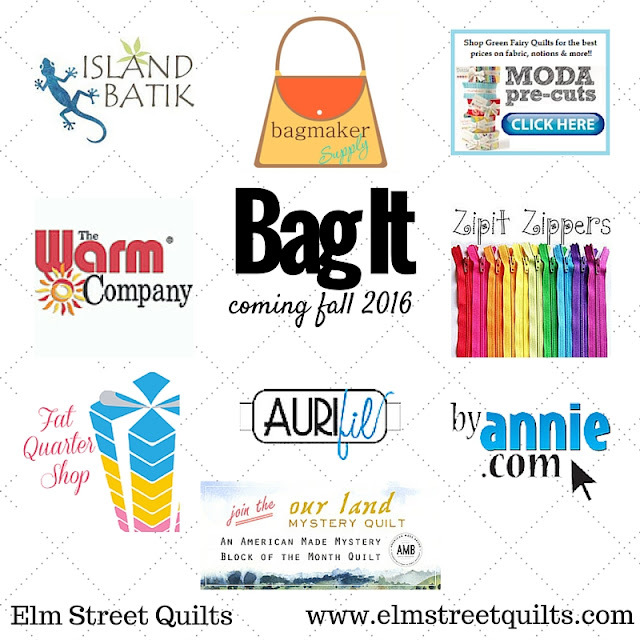 Enter photos of handmade bags, pouches in the link up for a chance to win prizes from great sponsors. You can also earn entries by visiting the sponsors and sharing some love. Start at this post and follow the links at the bottom to visit all 5 sponsor posts. Finally, link up with the One Monthly Goal event. Set a goal at the beginning of the month and return at the end of the month with your completed goal for a chance to win some wonderful prizes. One Monthly Goal will continue into 2017. (Happy dance!) 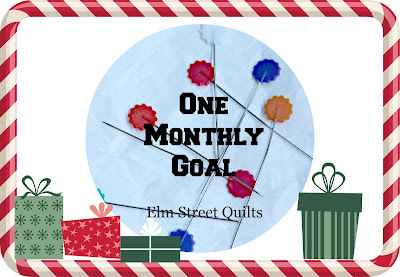 Want to be notified / reminded when the linkup is open in January? Sign up here! I totally forgot about this. Need to add this to my 2017 calendar so I can play along next year. I love Christmas music. I think I like them all but O Tannenbaum. I think White Christmas by Bing Crosby is my favorite Christmas song. A fun giveaway. Hope your holiday preparations are going well.